This beautiful book well and truly ruined me for almost a week. It was a risky premise, I think, about a cheerleader who is raped at camp and has to deal with the fallout in all areas of life. But EK Johnston pulls it off by making the story less about the act itself, and more about the relationships Hermione has and how they work against the strain. It was another book with a strong LGBT undertone, as well as a focus on female friendships. Hermione does have to deal with her relationships with her ex boyfriend and her male teammates, but it is her relationship with her best friend that is the main focus. I really, really loved this book. 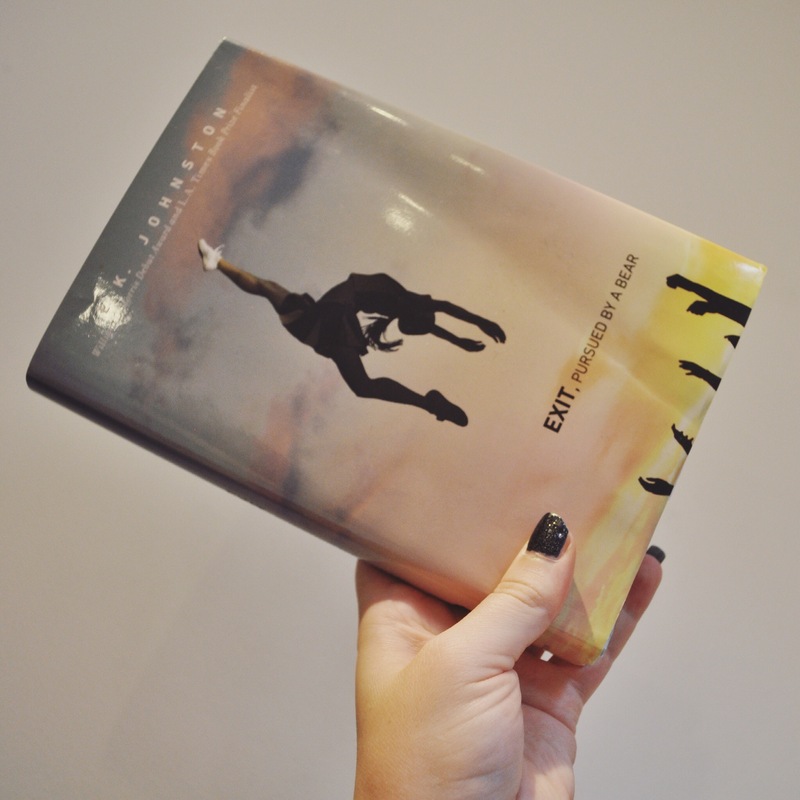 It didn’t feel like Young Adult fiction, although you could argue it is, and it was a calm and emotional take on the subject matter. It wasn’t gratuitous, which I liked, and it dealt with many different emotions in a thoughtful way. I was drawn in, I felt for Hermione and her triumphs rang very strong for me. 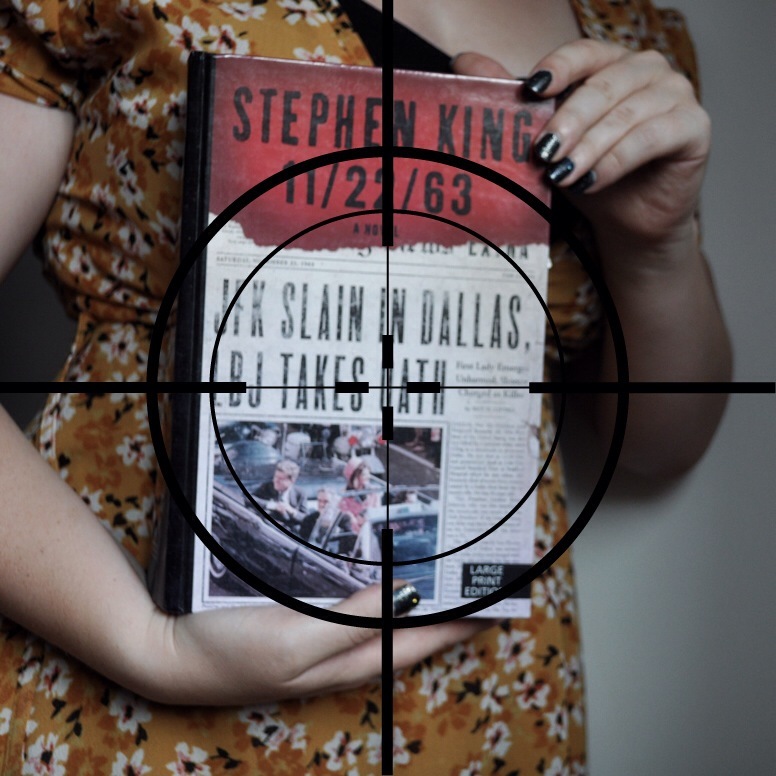 I read 11.22.63 alongside watching the Fox/Hulu TV series earlier in the year. I actually started the TV series before the book and loved the promise so much I immediately had to go and order the book from the library. They only had the large print version, hence why it’s so huge. The book is a bit of a break away from Stephen King’s horror books and an introduction by him talked about how big a project it was to write in terms of research. Historically, it’s good, and I was completely drawn into the 50s/60s political paranoia vibe. But there was obviously still elements of the occult and the end of the world; with Jake’s diner rabbit hole taking him back in time and and butterfly effect of his time in the past. What I liked about the time travel element of the story was the idea that Jake, the main character, can only travel back to a specific date and that each time wipes away the previous. He can’t just do over if it goes wrong. It added an intensity to Jake’s relationships with people from the past and made the ending that much sadder. I really, really need to read more Stephen King books. I’ve loved everything of his that I’ve read so far and more and more I’m realised the scope of his writing ability goes far beyond horror and scares. This one is probably a gateway book for those people who are out off by the idea of him only being a horror writer and I’ve been recommending both the book and the TV series! Oh my goodnes, it’s been how long? I’ve completely let life get in the way of reading recently… And my book slump has been really getting me down. I have read some wonderful books over the past few months and I will get round to reviewing them, but I thought I’d talk about my most recent read to get started… Mainly because it’s a quite fitting book about a girl who doesn’t speak. 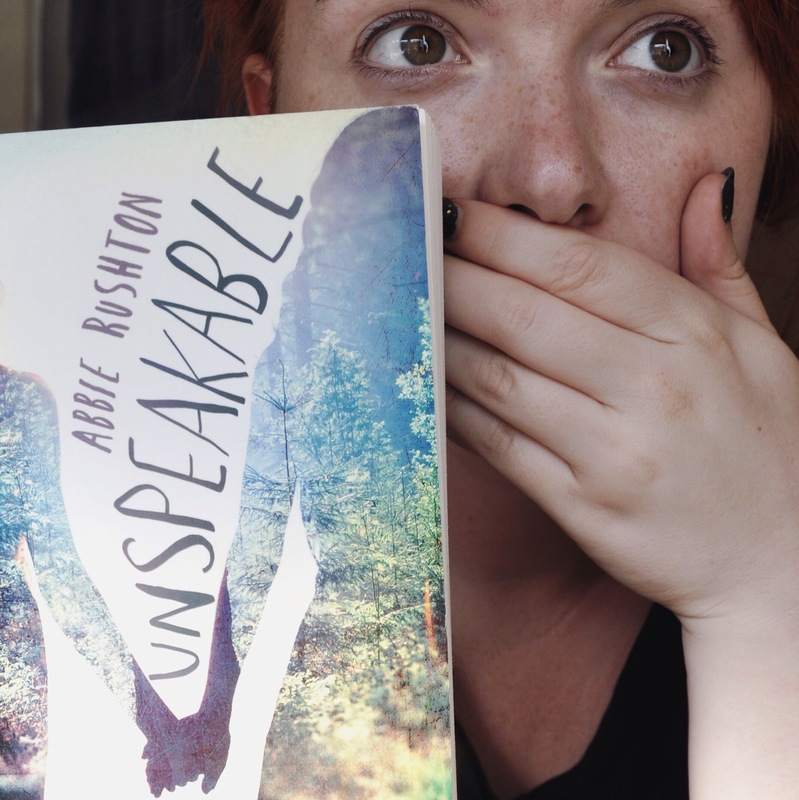 So, I was originally drawn to Unspeakable because the blurb reminded me of Speak by Laurie Halse Anderson, one of my favourite books as a teenager. But, also, because of the concept of female relationships. Unspeakable was more of an uplifting read than I was expecting. It was sad in parts, and Abbie Rushton does a really good job of putting across Megan’s frustration at not being able to speak, but it didn’t leave me feeling bleak. Also, Megan’s trauma and relationships are almost exclusively centered around other women and how she feels about them and it was nice to read a book where those relationships are at the forefront. I do think it’s important that Young Adult books span a breadth of possible teenage experiences and the importance of books that include LGBT relationships is one I feel quite strongly about. Unspeakable does a really good job of portraying female relationships, both in friendship and romantically, without tokenisation. Overall, I really enjoyed it and found it a to be a hick but powerful read. There’s nothing like an easy Young Adult read to get over a book slump and I immediately picked up my next book after finishing this one.